This past summer BSX ceased sales of their BSX Insight monitor to focus on their LVL hydration sensor. In addition to discontinuing the Insight product line, they also laid off the sales and marketing staff associated with the product line, and further informed all retailers of the discontinuation. However, at the same time, the company promised (to retailers) that they’d maintain the platform through August of 2018 (essentially another year from that point). During that timeframe the app, platform, and device would function normally. But 10 days ago we got a preview of what happens once BSX stops supporting that platform, and the reality is painfully simple: Everything stops working. The roughly 15-20 hour long outage immediately made it impossible to use the BSX Insight sensor hardware, unless you had a Wahoo ELEMNT/ELEMNT BOLT, which was still able to trigger it. Even so, you only received SMO2 related ANT+ data, not the full suite of analytics that the larger BSX platform delivers. BSX has yet to clarify the Insight situation to end-users in any manner publically, leaving things a bit muddy at the moment. As I suggested to the founder back in August, they could release their existing beta Garmin Connect IQ app that would offer similar functionality to what Wahoo implemented. Further, they could make their BSX Insight related code available on GitHub, enabling folks to develop 3rd party solutions for at least the sensor portion. Hopefully, those (or more) will happen, but at this point there’s no commitment to do so, and as of next August (or sooner, if BSX were to dissolve prior to then), the BSX device would be a brick to all but Wahoo users. Meanwhile, before there was BSX there was Moxy. Moxy has really pioneered making the Muscle Oxygen related data accessible to end consumers and coaches in the sports tech world. Certainly, they didn’t invent the overall concept, nor were they the first product in the world. But they were the ones to make it relatively easy to capture the data in a consistent manner that didn’t require medical grade equipment. You can see my post from a few years back on them. Since that timeframe, they’ve worked hand-in-hand with Garmin to ensure pretty wide support for the Moxy device via Garmin Connect IQ. It was one of CIQ’s launch partners way back when, and to this day there’s a close relationship there. Further, Garmin has implemented Moxy support natively on a handful of devices as well. Additionally, a boatload more apps support the data now compared to then. Still, there are some key differences between these devices, which I’ll cover in the next section. 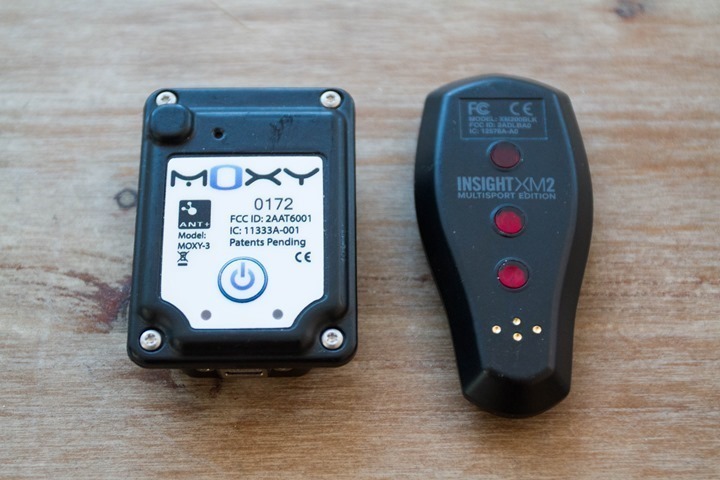 All of which is a very round-about way of getting you caught up on the deal that Moxy announced today, which is to offer BSX Insight users the ability to trade-in their BSX Insight (Gen1 or Gen2) for a $150 discount on a Moxy Monitor. Normally, the Moxy sells for $820, so this brings the price down to $670. Obviously, not going to be for everyone. They do support numerous countries and currencies, so you can use their site to figure out your local prices. The way it works is that they’ll send you a shipping label to, in turn, send back to them with the BSX Insight device inside of it. They plan to keep the offer open till at least December 31st, 2017, but could extend it. Now, there’s some things to understand here on the differences. This isn’t an Apples for Apples trade-in. More like Lemons for Oranges. Moxy is in many ways similar to BSX. The differences right now come with respect to range, as well as features. I’m going to cover some of the high-level differences here. However, I’d recommend the video down below for some of the finer details. What the device does: Moxy is much more of a ‘device unto itself’ type approach. Meaning that BSX has (until it’s shut off) more of an ecosystem/platform around it from a software standpoint (phone app, cloud platform, etc…). Which Moxy lacks. In my opinion, this makes Moxy harder to use day to day for data gathering for a single athlete (me). 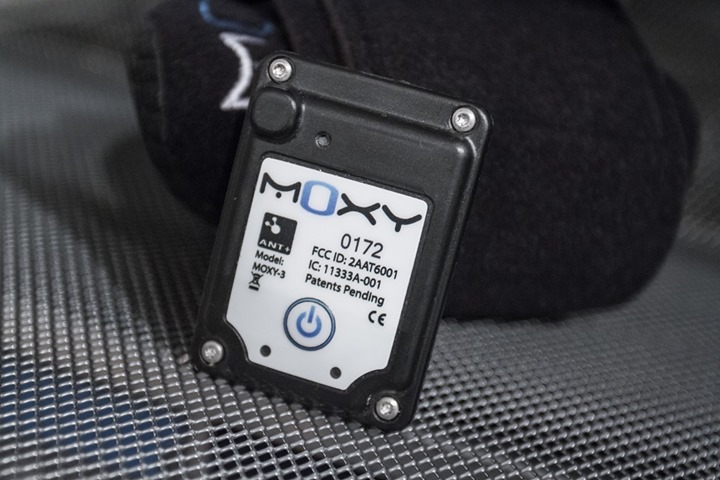 Moxy also doesn’t have a test mode that automatically determines your lactate threshold. Where Moxy catches-up here though is that Moxy works with Garmin Connect IQ data fields on virtually every Garmin device out there these days. So concerns in the past about storing the data are somewhat irrelevant if you have a Garmin unit, since you can just do it there. 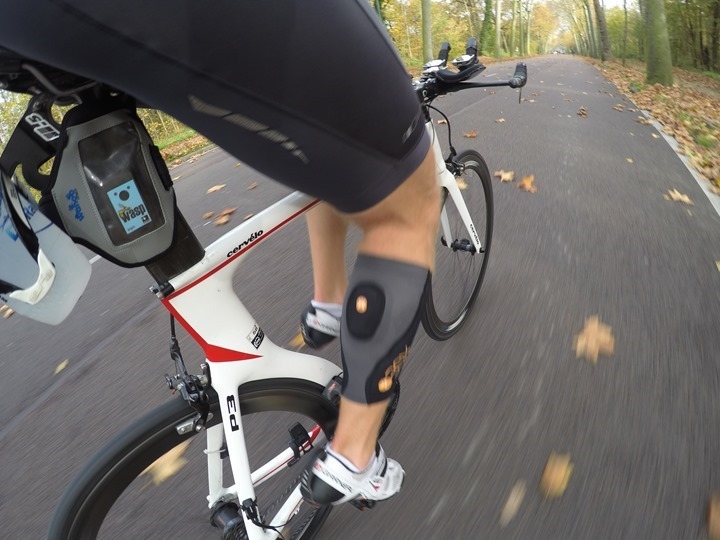 How it attaches: The BSX devices attach to a calf sleeve, which is pretty slickly designed. It’s one of the things I credit to why BSX succeeded actually (for a while anyway). Moxy’s sleeve isn’t quite as slick, but is more flexible in terms of placement. You can place it on any muscle groups you can think of. Thus you see researchers and coaches use it to measure many different places. Analyzing the data: BSX’s analysis is almost entirely done on their existing platforms. Once those go away, so does your data and the ability to dig into it. However, BSX has always had the leg up here in terms of providing guidance around what this data means (i.e., LT testing and generating easy to understand results). Moxy lacks any of this platform around it, so you have to use either 3rd party apps or understand the data more from a science side. So as you can see, data transmission, storage, and processing is very transparent in the Moxy world. There’s no tie-in to anything behind the scenes. So the device will essentially work forever, no matter what happens to the company. All of these above points somewhat ignore/skirt/avoid some aspects of the science and accuracy differences. I’m not entirely going to get into that here, as I don’t think there’s quite enough data to be super clear on it. Part of the challenge is while you can make generalized comparisons, you can’t place both devices on the exact same muscle – thus, any comparisons aren’t exactly the same. Moxy a long while back uploaded this video that explains (in incredible sports tech geekery) some of their devices from a very technical manner. Again, it’s super-detailed and might be a bit much for some, but worth it if you’re considering the deal. For some people, this will be a solid way to save $150 and get themselves out of a pickle. But I want to caution that I think for a different target audience, this might be trading one pickle for a different pickle. What made BSX so popular was the ease of use of the platform, and specifically getting training guidance/recommendations out of it. Whereas Moxy requires a bit more of you putting the pieces together and coming up with training guidance. On the flip-side, it gives you a ton more flexibility from a data science standpoint. So if nothing I’ve said in this post scares you from a technical level, then you’ll probably be well suited for a swap. Whereas if your eyes glossed over a bunch, then you may want to wait and see what happens with BSX. Like I said, hopefully BSX as a company can find a solution that keeps BSX users happy for years to come, after all, they wouldn’t have become the company they have without these users. Oh, and again, the Moxy link for the trade-in details and such is here. » BSX LVL Hydration Sensor: Does it actually exist? Oh, and BSX Insight is dead. Thanks for posting this, Ray. Shame that BSX is going away without realizing its full potential. It has always been annoying that you needed the BSX Insight app to “start” the device, at least until Wahoo’s ELEMNT came along to support it. There are plenty of times when cell/data service is spotty, or their service becomes unavailable, leaving you with a useless brick going along for the ride. I’m hoping they release their beta app. I’ve been itching to write a ConnectIQ app that did this after finding out it was possible. I already use Moxy sensor to collect/record the SmO2 data on the Edge instead of BSX’s own official CIQ app, which does little more than display the SmO2 values. It’s also nice of Moxy to offer the discount, but even with the $150, it’s still a tad steep. I’d probably just put that money towards a trainer / power-meter as they’re a bit more tried and tested as training tools. Sure, it looks like I’m out the $ spent on the BSX Insight (for LT tests) but I’d rather just move on. Would it be possible for you to make a Kuai GPS headphones review? Shouldn’t this say Moxy, instead of BSX. ??? Since that timeframe, they’ve worked hand-in-hand with Garmin to ensure pretty wide support for the BSX device via Garmin Connect IQ. It was one of CIQ’s launch partners way back when, and to this day there’s a close relationship there. I have also realized that the release has been delayed. They are really not very active in social networks. It’s a pity because it would really be a good moment, now that many bsx owners will be looking for an alternative. Moxy are alone right now. I just have found this: link to prnewswire.com so it seems that at least something is going on. Funny that the 2nd price was won by an hydration sensor. I saw Humon Hex at the Boston marathon expo last weekend. It looked like basically it has the same functions as Moxi and BSX and price wasn’t bad. I would love to see DC’s review on this device. I don’t own an Insight, but I’m glad to see a company stepping in to help people (plus a nice boost in sales and reputation doesn’t hurt either), when it comes time for me to consider purchasing something like that (I’m planning for my first triathlon after 2020), Moxy will be at the top of my list. The entire BSX fiasco, for both LVL and Insight, has been a big frustrating mess. I appreciate it when companies in similar fields make offers to customers that would otherwise be SOL. I’ve used the Moxy with PerfPro Studio for several years now, to great effect. We almost always use it on the left lateralis, and it seems to just work very consistently. I’m not as big of a fan of the other software; it doesn’t visualize ThB or SmO2 as well. There’s also the on-screen Connect IQ Moxy fields and the app. Good stuff. And it records on a .fit so you can look at it in detail ex post-facto. Mountain bikers can get a LOT out of Moxy, since it’s roughly half the price of an MTB power meter. If anyone has any questions, feel free to IM me. The stuff works really well, but like anything, it’s the interpretation and analysis that are more important. I’d like to echo Richard’s comment that the interpretation and analysis are most important. And also to contact him or any of our other trainers. They’ve put in the effort to figure this out. Our strategy at Moxy is to work with trainers like Richard to bring the technology to athletes. Fortunately, the recent integrations of MO2 data into the watches, bike computers, and analysis software make remote access to a knowledgeable human really practical. Are there any changes coming? Maybe easier to attach and thinner to go under bike shorts without tape. (or is it fine to just have the moxy in a rubber light sheild under shorts directly? Seems like Humon may be trying to compete at a much lower price but they don’t seem to have the quality, don’t care about light shields so wonder about their data, and they keep having delays in when they ship like BSX. Seems like muscle oxygen would be much more popular if cheaper. Richard, any thoughts? I noticed that my Fénix 5 is not recording on the fit file as my Fénix 3 used to do, do you know what to do? What are odds of BSX letting someone else take over their “cloud” platform? Obviously updates to the device and apps might not happen, but it would at least give those of us that have the device, and use it regularly the option to keep going with it. I wonder how much it would cost to take over their cloud platform? I bet you could get a bunch of BSX Insight owners (such as myself) to contribute to that! DC any idea? Are you able to get in touch with them about this? Some folks confirmed it would be just slightly more – perhaps up to $50-$100 month. But even that, I’d say is overkill (given this is what I did for a living until somewhat recently). The load is enough it should easily be able to run on a handful of small EC2 or Azure VM’s. But for fun, we could say $100 a month in a worst case scenario. Hey dc do you have some contact information as how to take it over? Not that I can share here. Ultimately, I’d suggest reaching out to BSX and urging them to consider opening up the software to the community. I wonder if the software has to be running in the cloud. Is there any reason each user couldn’t run it locally instead? If the code was all in GitHub, someone could modify the app to let you enter your local server address. Then you could just run it on your desktop instead of paying $X/year. Maybe I’m forgetting something but it doesn’t seem like any of that functionality couldn’t work. I too don’t want to see a fully working piece of hardware get tossed just because the software to make use of it is no longer available. Why are they still selling their products? Not sure. Hoping someone buys them I suppose. This device is the first one I’ve seen that shows understandable information clearly and concisely, in real time and without having to spend exorbitant amounts of time in analysis. 1. Will the Connect IQ apps allow for similar information as what’s being shown on the iPhone? Perhaps not with as much detail, but the trends and green/red/blue is important. 2. Can the data be used to identify thresholds; i.e. FTP, 4DP, pace, lactate. 3. Can the data/system be used to identify zones; i.e. power, pace, HR. 3. Will there be more information about how to use the data and Humon in various types of workouts; i.e. plain ol’ steady Z2, interval sessions of various types/intensities, recovery/easy workouts. 4. Will Humon step up and offer BSXinsight users a trade-in for Humon? If these questions are clearly and positively answered, I’d be very apt to purchase the product. Well, I’d be cautious. In Q2 they planned to release in summer. Then summer came and release date was silently changed to Q4. If they were weeks from releasing, I guess they would be now very active in social networks to create some buzz. But this is not the case. 1) I don’t know what the state of Connect IQ will be in the future, but as of right now, our zones do not export through connect IQ. However, we are working to make as much of our data available as possible via direct export through our web app. Currently, CSV is probably the easiest way for most users to directly get all of their data, and the process to download the data is very easy. 2-3) The data can be used to identify thresholds. We started by focusing on identification of LT (as given by the 4 mmol/L crossing point) that was validated during incremental cycling tests that Massachusetts General Hospital has conducted. We will continue to work to further improve the accuracy of this, continue conducting tests and experiments, and make sure this information is as helpful as possible by looking closely at the other thresholds and zones of interest. About a year ago I purchased a BSX and very quickly found out that it was a waste of money. I emailed back and forth with them, got the run around, emailed Matt Fitzgerald about it, etc…. All of the useful data related to training with a NIRS device is on the Moxy forum, but you can not and should not try and interpret your results/data from a BSX test with information from the MOXY site. The BSX data will show little to no variation and lead you to believe you have a utilization limiter, which by the way for me personally was exactly the opposite….. I had noticed the lack of variation in the data as well. Makes me wonder if the device was snake oil right from the start. It seemed to me the results of the test were strictly based off the last segment you did in the test. Thus you can do two tests and get completely different results if you stopped 1 segment earlier (despite both segments being past your true LT). Hi all, it’s Dan from Humon here. I didn’t see anything on rules regarding solicitation in the comments, so I hope me making this post is alright. We would be happy to help any BSX users who are frustrated by the discontinuation switch to using the Humon Hex. Please follow us on social media and we will be posting instructions how you make one quick post about trading your BSX for a Hex and get a discount code to buy for just $195. This information is already on Facebook, and we are on track to start shipping before the end of the year. We are working around the clock to put this valuable technology into as many people’s hands as possible, by providing accurate and reliable data, giving users easy access to view and export their data, while also building the tools and software to help understand and use the data as well. As mentioned in a comment above, we have been a bit quiet on social media as we are focusing production. But if you have any questions at all, please reach out to us via email at support@humon.io. You can also reach me directly at: dan@humon.io. And any suggestions you have as to how we can best engage and receive feedback from the community would be greatly appreciated. Yes thanks for coming back. I’ve been following you for months. It is great that you’ve prioritized production. And very unusual nowadays. I wish you a great success! Why have you never commented on the fact that nearly all Garmin watches are pretty limited if they can’t connect to Garmin Connect? That there’s no way the sync a Garmin device to your phone and look at any of the data, without a live internet connection? That even if you have synced activities and have viewed data in Garmin Connect – if you lose your network connection, it disappears because they don’t “sync” anything to your phone, your phone just acts as a glorified web browser to the Garmin Connect site? To be fair to be BSX, the core of what they did online did require being online (spitting back out analytic type info). I don’t think anyone is actually complaining about that. What they are complaining about is that in order to get regular transmission/broadcasting of data, the app has to be online. As for Garmin, again, to be fair to these companies – that’s the wrong example to choose. Because while we all hate the $5,000 fee for the API, from a consumer device it’s actually the most open (by far) of any of the watches out there, in terms of accessing your data and using it. Polar, Suunto, Wahoo, etc… all of them are instantly useless devices if their platforms stop working. No configuring data fields or getting data off of them (Wahoo you can connect via USB now actually for getting the files). In Garmin’s case ,you can still do both. It hardly required being online. Everything could easily have been done on a laptop or within their app. The only reason for the online nonsense was to force you to create an account and create this illusion that you bought a service and not a device. Now folks are seeing just how bad cloud services are. Even if they weren’t going under, any service outages renders the product a brick. But also for other units to support that data without connect IQ like Edge units. Ray – any plans on reviewing the Humon Hex? sorry if this has been answered already. Not at the moment, no, maybe down the road. Would appreciate a review from you as well. Any plans? any news from BSX if there will be an app or something to start the bsx (gen 2.0) whenn the service ist offline? So much for August. BSX servers are caput. Device is a brick, at least for FTP testing. Tried making it work, nada. even their site is now offline. BSX servers are back up. Wahoo Element also works well to start the sensor. Yep, looks like everything is back and running. For what it’s worth, I emailed tech support at BSX and received a response in one business day. They noticed the problem on their secure server, fixed it and apparently mitigated things to prevent a repeat occurrence. Perhaps they were victims of a DoS attack? I will say that for a company that is not producing the product any more, they offered better customer service than many others I deal with who do a hundred million a year in gross profits. If only they could release a dev kit with their algorithms then someone could create non-cloud based software to keep the unit functional after the servers do down for good. I actually took a peek at the android bluetooth snoop log from my Pixel 2. There may (or may not) be some way to send the commands to turn it on. anyone knows how can I unlocked my old BSX gen 1? Thanks! I have made a “how to guide” for triggering the BSX to transmit Ant+ data without the BSX app, without their servers and of course this will work even after BSX Inc is long gone. You will need an Android device. What needs to happen to allow iOS users the same functionality? There seems to be an IOS version of the NRF app. Why don’t you try to use that, the screens look very similar to the android. Could you leave a comment on the blog page for me as well so I know if it worked or not. If not, we will try something else. The original promised delivery date was July 2017. In your June 2017 update you were all positive about how things were going and that you were excited about shipping out everyones orders, there was nothing about any issues or delays. The August 11th 2017 update was just a video of technicalities and did not contain the promised delivery timescales. So it’s now a year later than the promised delivery date and we’ve been lied to at least 4 times, probably a lot more if i could be bothered to read all the updates. This is disgusting behaviour from a company that has already banked all our money. Everyone who works for you should be ashamed. We will not take this lying down. I don’t work for the company (and in fact have been quite critical about their LVL efforts. Not only that, this post was actually about Moxy (a very different company), offering a way out of the BSX mess…which is pretty cool of them. 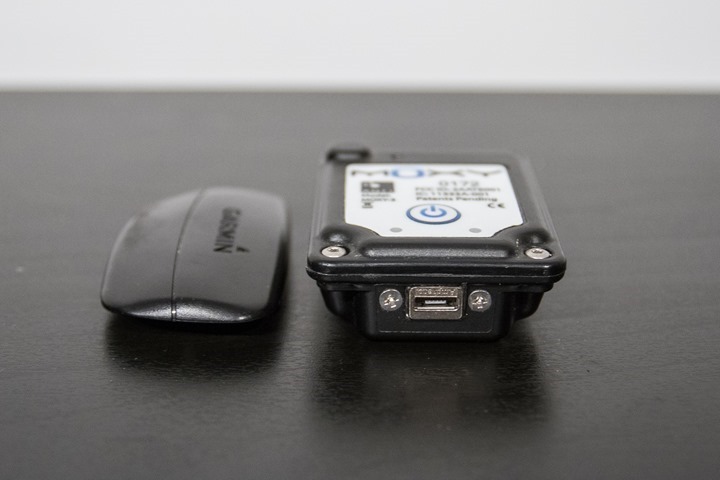 There is another SmO2 Sensor called “homon hex” from https://humon.io which works well with my Garmin 820 and Garmin Express. They have also simple but usable App. For detailed experience have look on link to athletictimemachine.com.